If you are paying a high cost of owning and managing the vehicles and are looking for ways to reduce it, then you need this service. A vehicle fleet is a depreciating asset which requires costs in administration, funding, and comes with disposal risks that jeopardize your investments. When you avail vehicle leasing, you are transferring the risks to the lessor. Which Types of Leases are Available? High Residual Value- In this option, the lessor takes the depreciation risk. The mileage and lease-duration are decided at the start of the lease. If you exceed the mileage restriction, you will have to pay the charges. Once the contract ends, you return the vehicle. Low Residual Value- In this option, you can take the risk of depreciation of the vehicles. The open-ended mileage means there is no restriction on kilometers you can drive during the lease term. 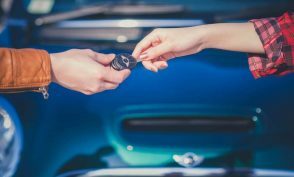 If you want to purchase the car at the end of the lease, you can do so by paying the residual value. Financing Lease- As the name suggests, the lessor buys the vehicles and rents it at an agreed interest rate. Which One Is Most Suitable for You? No Down Payment- Make sure that you are making any down-payment for procuring the vehicles. Leasing services are availed to avoid taking vehicle loan. Inclusive Maintenance- Most leasing offer regular maintenance of vehicles, and it is better to get it included in the monthly lease payment. Easy Disposal- There should be no hassles in disposing the vehicles at the end of the lease tenor. The risk of resale should lie with the lessor. Vehicle lease service is what your business wants, but you should be careful while signing the lease agreement to avail numerous benefits.